Jaipur (Rajasthan): All the practicing doctors in Rajasthan decided to go on a mass leave from November 6, in support of their pending demands before the state government. Almost 9600 doctors, who had already collected their mass resignations earlier this month, submitted the same to the government under the banner All India In-Service Doctors’ Association, forcing the government to again invoke Rajasthan Essential Services Maintenance Act (RESMA) to maintain healthcare services in the state. 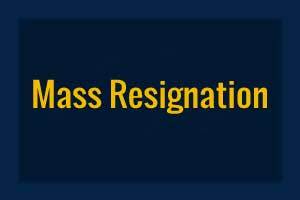 The mass resignation has followed the warning by the All India In-Service Doctors’ Association (AIISDA) issued last month. The All Rajasthan In-Service Doctors’ Association (ARISDA) has said if the state government takes an oppressive action against the doctors, a mass medical strike would be called. The state health minister, Kalicharan Saraf, has said the fulfillment of the demands may take time. Medical Dialogues team had earlier reported that even last month the government doctors had announced a mass leave following the nonfulfillment of these very demands, however, the government had invoked Rajasthan Essential Services Maintenance Act (RESMA) to prevent doctors from going on strike.Now in response, doctors have submitted their mass resignations. Responding to the strike, The state government, once more invoked Rajasthan Essential Services Maintenance Act (RESMA) today. Moreover, the Health department also announced that strict action will be taken against the doctor who will not reach the hospital.State Health Minister Kelicharan Sarraf said that the arrest of the doctors who did not reach hospital after the RESMA was imposed has also been started from late nights. Efforts are also being made to arrest the leaders of the doctors association. What is Rajasthan govt grievance referral mechanism for doctors????? If they don\’t have one file a position in court. The right to protest and equal work equal pay are enshrined in Indian Constitution. If reasonable limits are to be imposed then those must be rational. This is draconian. We are all with you. Keep it up. Get arrested and demand good food and shelter that they can\’t handle ..instead torture them ..make list of politicians gone against drs . Blacklist them …publish on line …esma shud b imposed on politicians too…very few know that MLA MP r any ministers r govt servants and liable for prosecutions if found guilty..if drs demands r right they shud b addressed …instead they r threatening..